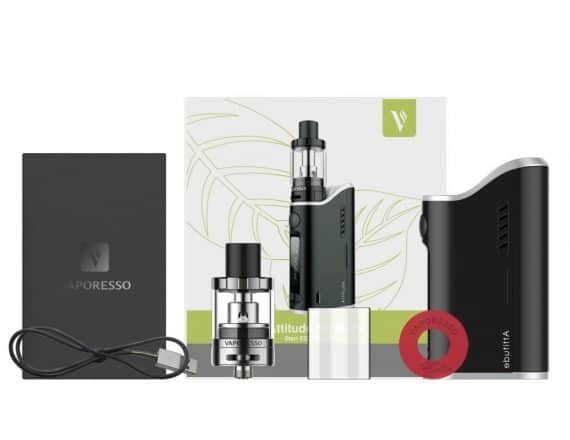 The Vaporesso Attitude 80W Starter Kit is a classy new ergonomic box mod Starter kit that brings an simplistic design and finish, 80 watts of maximum power and an external 18650 Lithium battery design! 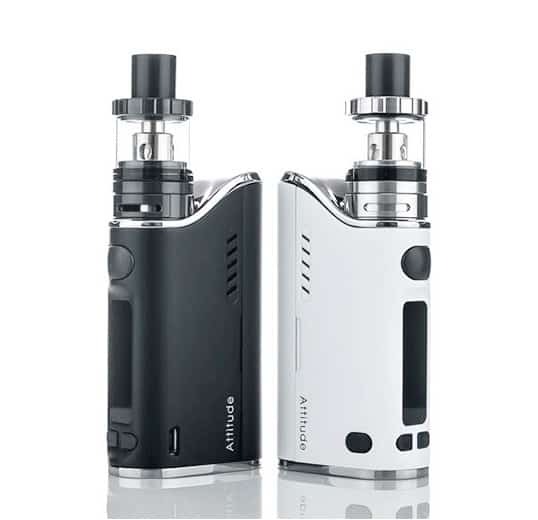 The Vaporesso Attitude Kit is made of a clean Zinc Alloy body with a Semi-Hidden Tank design that feels solid in the hand. 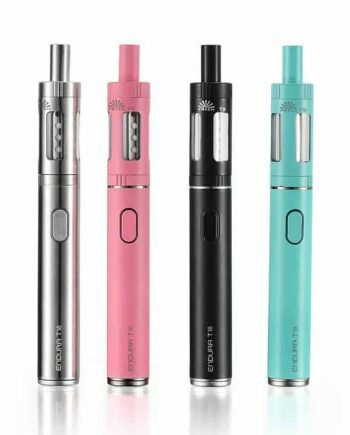 With its easy-to-read 0.91″ OLED screen, you have all key settings and mode information about your vape session ready at a quick glance. The new OMNI-Board Chip features a Smart Setting mode that automatically adjusts the device to a safe operating wattage dependent on the coil recognized by the chip, perfect for beginners. 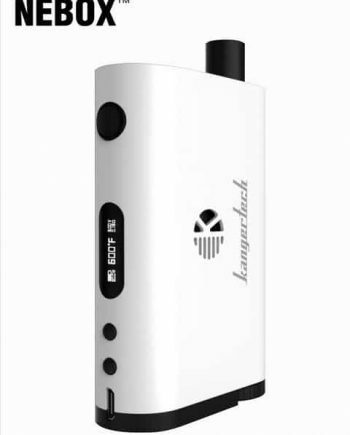 The OMNI-Board Chip also incorporates a Battery Optimization feature that allows you to get the most out of your External Lithium Batteries, and keep your Vaping experience Hassle-Free. 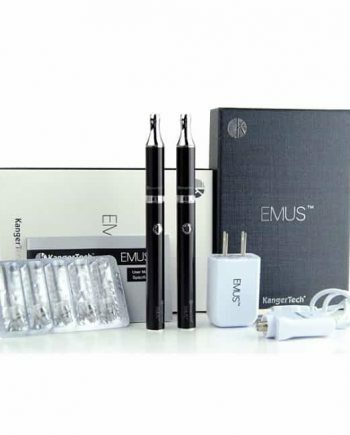 The Attitude Starter Kit comes with the New ESTOC Tank – a 22 mm diameter, 2.0ml capacity compact tank that is easily extended to double the Juice Capacity to 4.0ml. The new ESTOC Sub-Ohm Tank produces flavourful clouds of vapor, using the ECO EUC Coil Platform, that allows use with the 0.5Ω Ceramic/Stainless Coil, Optimized for 20 to 35 watts, as well as the 0.4Ω Traditional Clapton coil, Optimized at 40-50 watts. 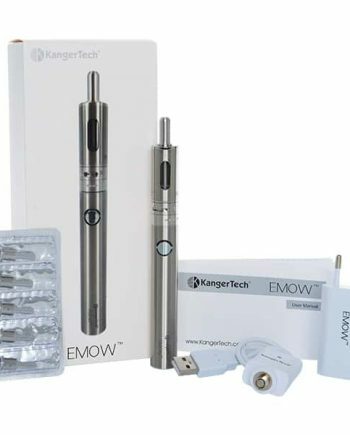 The ESTOC Tank features a Threadless, Pressure Fitted EUC Coil Design and Bottom-mounted adjustable air-flow slots that channel airflow for a perfect Direct-Lung draw at it’s wide open position.